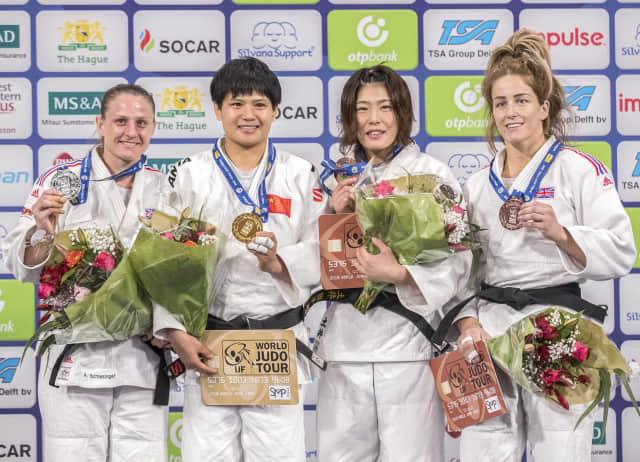 Former World Judo Masters bronze medallist YANG Junxia (CHN) handed her country their first gold medal in The Hague after the hosts of the upcoming World Judo Masters had earned two silver medals on day one. British veteran Alice SCHLESINGER was unable to resist the turnover into osaekomi that YANG had used in all four of her previous contests as the world number 61 won her third Grand Prix title and her first outside of Asia. In the first semi-final YANG held down former Junior World Championships silver medallist Stefania Adelina DOBRE (ROU) for 15 seconds and the Romanian elected to tap out. 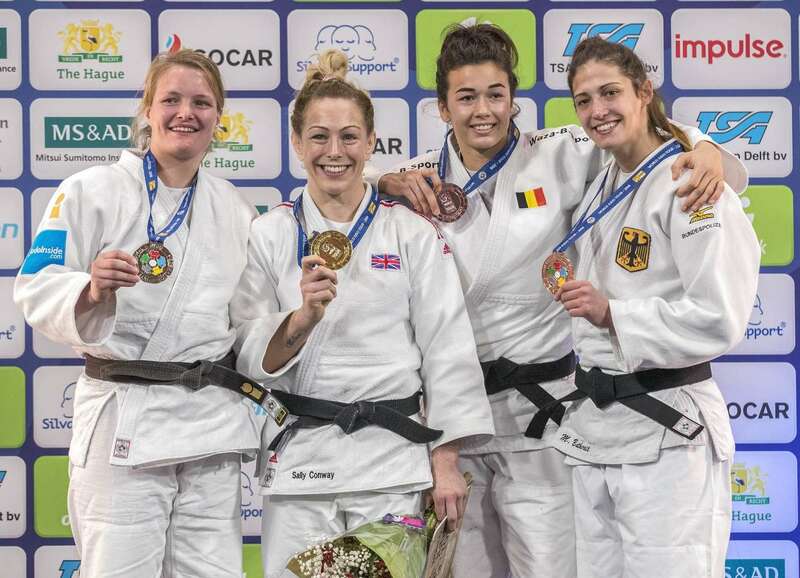 In the second semi-final Glasgow European Open winner Maelle DI CINTIO (FRA) lost out to SCHLESINGER after 68 seconds of golden score by a waza-ari score. The first bronze medal contest was won by two-time Kodokan Cup winner DOI Masako (JPN) who brushed aside DI CINTIO. Grand Prix debutant DOI scored a waza-ari from osaekomi before countering a drop technique from the Frenchwoman with te-waza to take the first contest in the final block. The second bronze medal was won by Cancun Grand Prix bronze medallist Amy LIVESEY (GBR) over DOBRE. 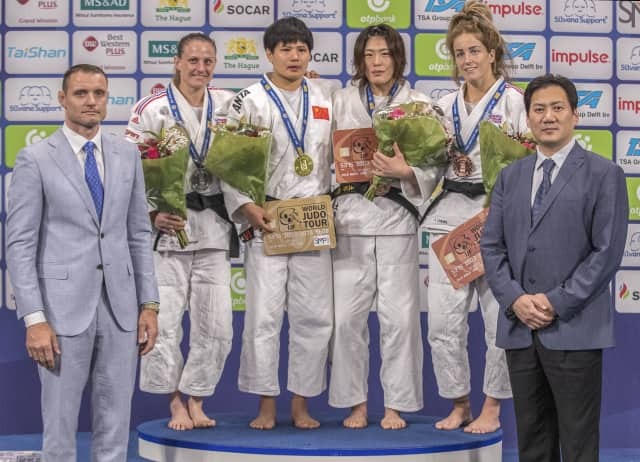 SKK Judo Club product LIVESEY rolled DOBRE over for a waza-ari after the Romanian failed with a uchi-mata attempt and added a second waza-ari to take a crucial result as she plots a late invitation to the World Judo Masters in December. -70kg: CONWAY completes Grand Prix hat-trick with silver for the hosts Olympic bronze medallist Sally CONWAY (GBR) won her third Grand Prix gold medal after Hohhot Grand Prix winner and home favourite Sanne VAN DIJKE (NED) could not participate in the -70kg final after picking up an injury earlier in the day. CONWAY will now break back into the world’s top 10 and move closer to the Dutch judoka who started the day ranked fifth in the world. In the first semi-final CONWAY threw World Judo Masters gold medallist Maria PORTELA (BRA) with a makikomi with six seconds left on the clock for ippon. 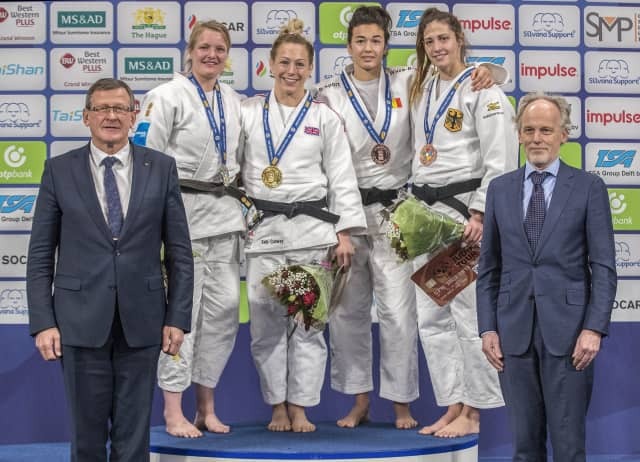 In the second semi-final VAN DIJKE saw off World Judo Masters bronze medallist Anna BERNHOLM (SWE) with the only score of the contest. The Dutch ace lifted up her Swedish rival with a ura-nage for a waza-ari score and that was the difference after four minutes of judo. 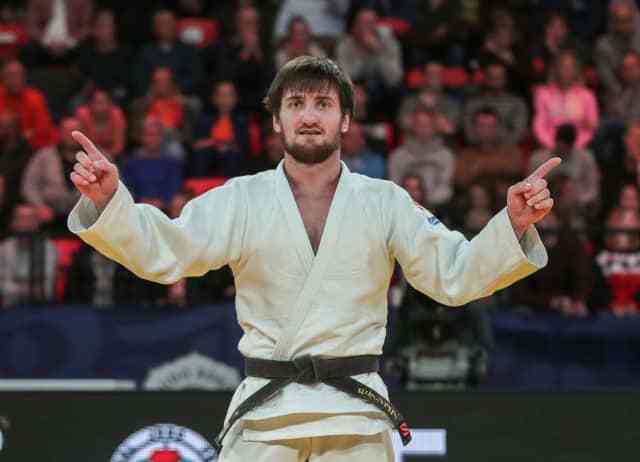 -73kg: MOGUSHKOV sweeps away the opposition for Russian gold Abu Dhabi Grand Slam bronze medallist Musa MOGUSHKOV (RUS) beat Abu Dhabi Grand Slam silver medallist Akil GJAKOVA (KOS) for the first time to win his third Grand Prix title. 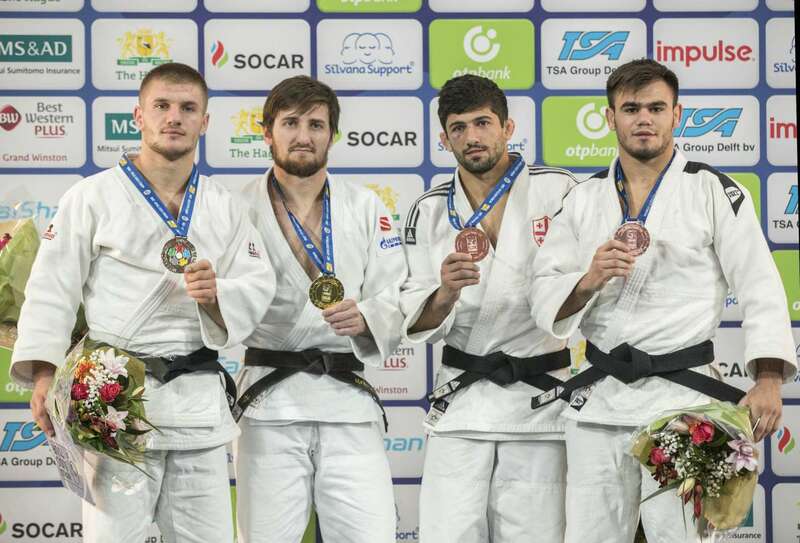 GJAKOVA beat MOGUSHKOV in the semi-finals at the Abu Dhabi Grand Slam two weeks ago but the latter avenged that result in today’s -73kg final after three and a half minutes of golden score. The Russian caught his rival with a ko-uchi-gari for a waza-ari score to claim his country’s first medal in The Hague. In the first semi-final two-time Grand Prix bronze medallist Eduardo BARBOSA (BRA) was held down by MOGUSHKOV (RUS) for the full 20 seconds for ippon. 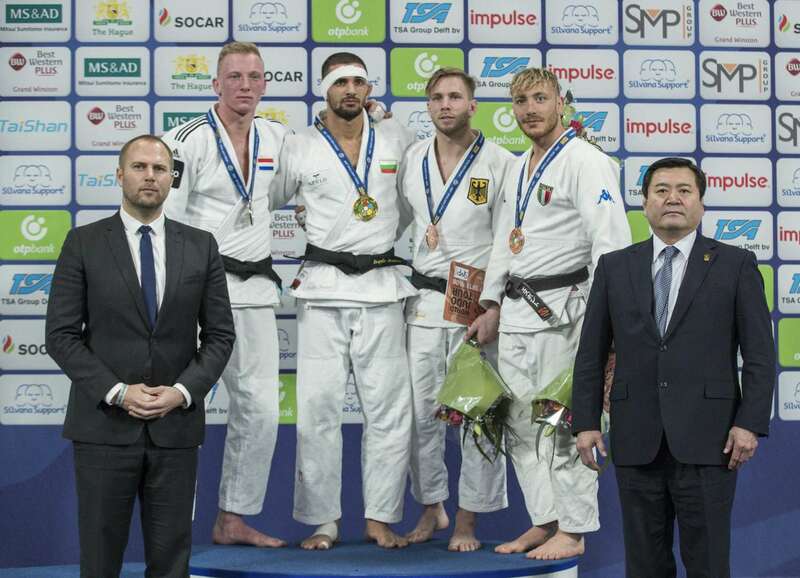 In the second semi-final GJAKOVA defeated Hohhot Grand Prix bronze medallist Anthony ZINGG (GER) by a waza-ari score. The rising star from Kosovo threw beautifully with a sasae-tsurikomi-ashi having used the edge of the area to generate a reaction from his opponent who circled back into the area and onto the foot of GJAKOVA. The first bronze medal was won by London 2012 Olympic champion and Rio 2016 Olympic bronze medallist Lasha SHAVDATUASHVILI (GEO) over ZINGG. SHAVDATUASHVILI won a battle of attrition against the German which required eight minutes and 19 seconds of golden score to produce a winner. The rivals, who spent over 15 minutes on the mat, were separated when a third shido was given to ZINGG for ducking under an attack from the Georgian who claimed his 10th Grand Prix medal. The second bronze medal went to Romanian Junior European Cup winner Victor STERPU (MDA) who outfought BARBOSA. 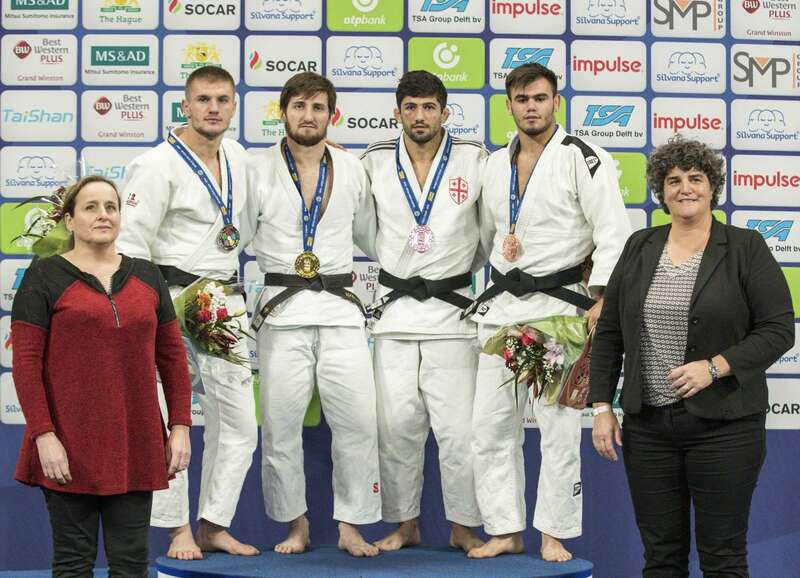 The Moldovan judoka, who was fighting for an IJF medal for the first time, won a surprise place on the podium when the Brazilian, a two-time Grand Prix bronze medallist, was reprimanded with his third shido in a scoreless contest. 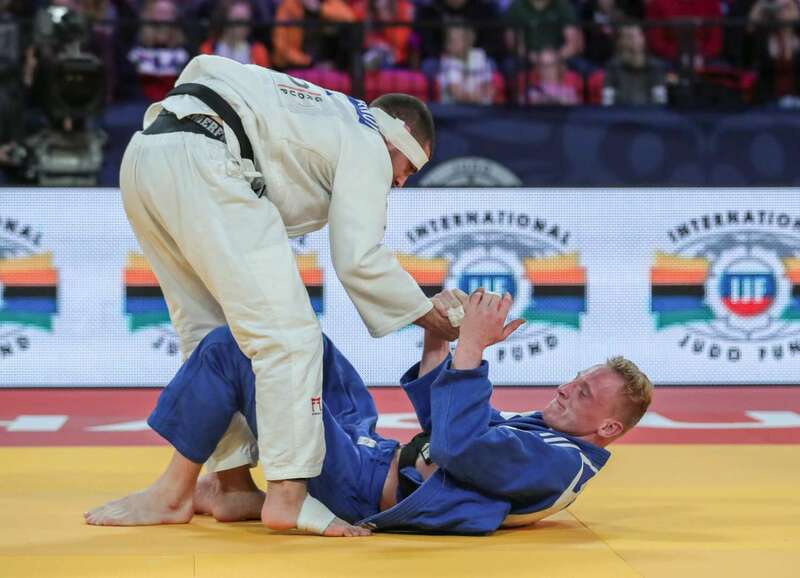 Former Abu Dhabi Grand Slam winner Ivaylo IVANOV (BUL) reinvigorated his career with gold on Saturday as he left home hero and two-time Grand Slam winner Frank DE WIT (NED) in tears. IVANOV returned to an IJF medal podium for the first time in 18 months with a come-from-behind win over world number two DE WIT who was overzealous and perhaps overawed by the occasion as he fought in a Grand Prix final for the first time in front of his home fans. World number 26 IVANOV, who finished seventh at the Rio 2016 Olympics, fell behind to a waza-ari from an o-soto-gari but picked up his opponent to equal the score. The Bulgarian judoka pounced to tie up his adversary in osaekomi as DE WIT was powerless while trapped in a mune-gatame hold which earned the outsider his second Grand Prix crown. The home judoka took the defeat well and applauded his supporters when he stepped onto the podium to receive his silver medal. DE WIT finished fifth at his home event a year ago and is moving in the right direction while IVANOV will be overjoyed after rediscovering his form at a vital time in the Olympic qualification period for Tokyo 2020. 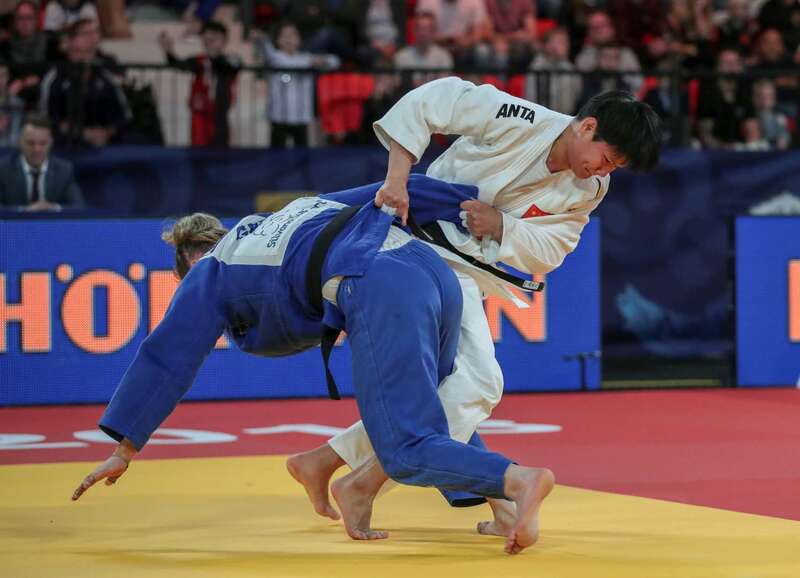 In the first semi-final IVANOV pinned down former European u23 Championships bronze medallist Jim HEIJMAN (NED) with a yoko-shiho-gatame for 20 seconds and a place in the final. 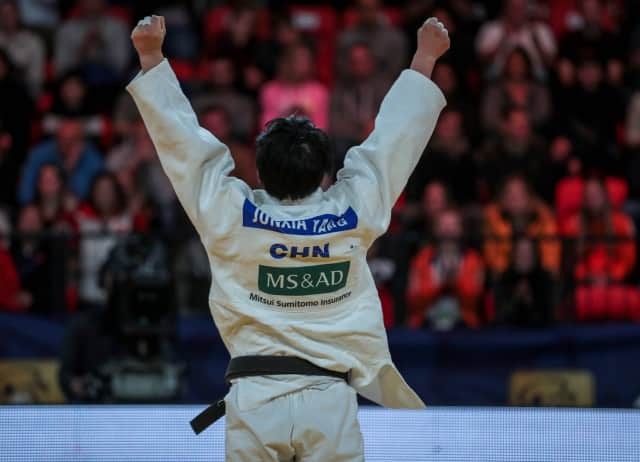 In the second semi-final DE WIT bested Zagreb Grand Prix gold medallist Dominic RESSEL (GER) after four minutes of golden score with a ko-uchi-gake. The first bronze medal was won by RESSEL after world number 63 Vlad VISAN (ROU) managed to pick up three penalties in the opening 68 seconds and was disqualified. Romania’s VISAN will be questioned about his tactics as he showed his inexperience at the top level by going out of the area for his third and final shido. 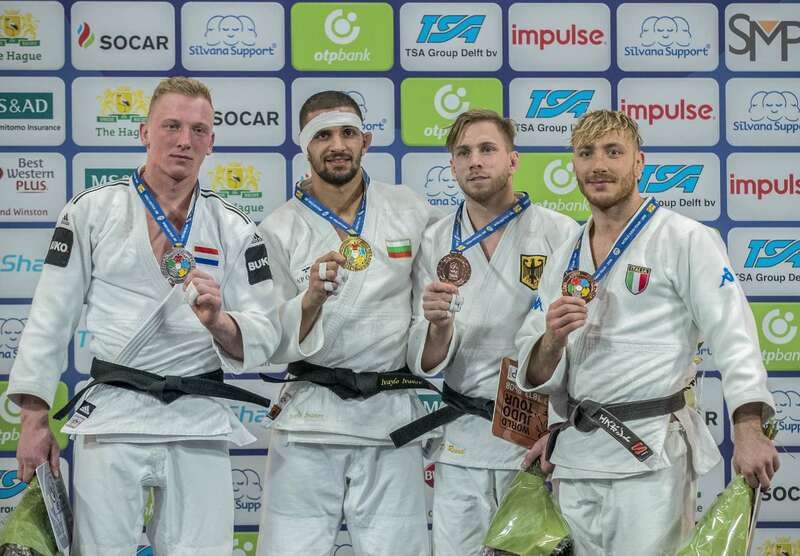 The second bronze medal went to European Championships bronze medallist Antonio ESPOSITO (ITA) who threw HEIJMAN in golden score to deny the hosts a place a second place on the -81kg podium. 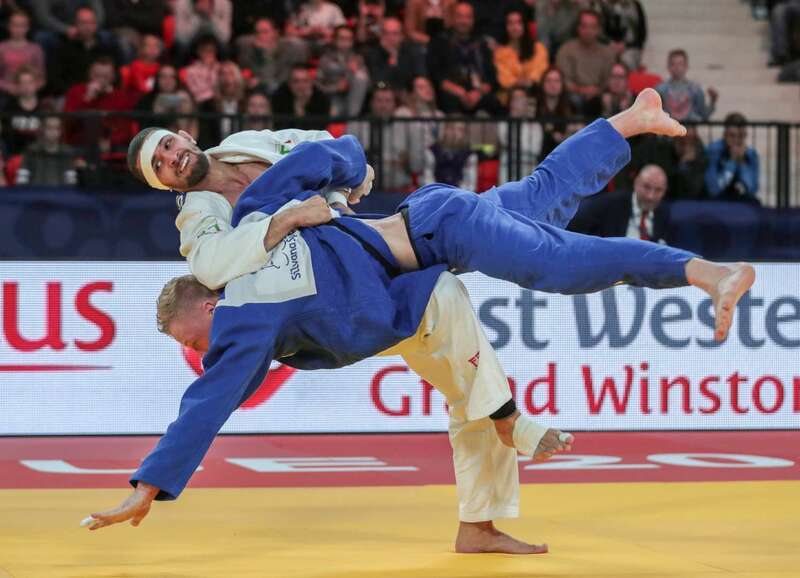 A sode-tsurikomi-goshi from the Italian was the difference but HEIJMAN can be happy with his days work in just his second IJF event having debuted a year ago at home.